About actual issues in the field of accounting and taxation. Below we can discuss the main developments in the tax assessment of Kazakhstan for non-residents. Part 26 of the Tax Code of the Republic of Kazakstan (further referred as RK) allows full or partial discharge from the double tax assessment of the various types of profits of non-residents, which were obtained from the sources in RK under the condition of the existence of the agreement between RK and the country of residence of a non-resident in order to avoid double tax assessment. 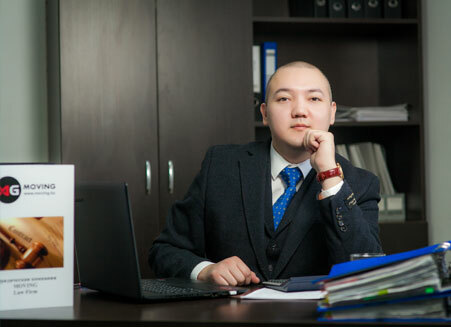 This means that a non-resident of such a country has a possibility to pay taxes from Kazakhstan originated profits only in his own country, but only in case if he is able to prove the residency by providing Kazakhstan contractor apostilled certificate of residence from his country and the extract from the trade register or, alternatively, a passport copy. from 2017 it is necessary to present in hard copy of electronic document that proves residency, located in the internet source of the competent body of the foreign country (Georgia, Spain, Moldova, Czech Republic etc.). In accordance with para 4 section 212 of the Tax Code in a case when a non-resident provides services or completes works in the territory of RK in a specific time limits, which does not result into the permanent entity in RK, for the purpose of applying international agreement legal non-resident should present to the tax agent both documents proving residency and notary certified copies of the Certificate of Incorporation or extracts from the trade register mentioning incorporators (members) and shareholders of a legal non-resident. The same documents are needed in order to get return of the income tax for non-resident from the budget or provisional bank deposit. Additionally from 2017 in a case if the foreign country does not provide such documents (Certificate of Incorporation, extract from trade register) such a non-resident has to provide a document from the foreign country, which was used to become a non-resident, legality of which is proven by the appropriate official body within the foreign country. In 2004 Kazakhstan ratified the Convention on Mutual Administrative Assistance in Tax Matters, which was signed by 103 countries including 19 offshore jurisdictions. Convention provides exchange of information on the mutual basis between participating countries in order to prevent shadow economy, money laundering, including avoidance of tax payments. Therefore, Kazakhstan continues further liberalisation of the tax regime in order to create a fruitful atmosphere for foreign investments and capital growth. With us you will feel yourself confident in all territory of Kazakhstan. Please contact out specialists for your free consultation. The statutory tool which governs the area is Permits and Notifications Act, that regulates public relations connected to permits or notifications of entrepreneurship of certain activity types. Electronic system of licensing in Kazakhstan simplifies the document submission procedure. Further the electronic license itself will be in the public access on elicense.kz. Through the search it is possible to find any license by its validity status. Everyone is able to check the other party for the right to conduct the licensing type of activity. 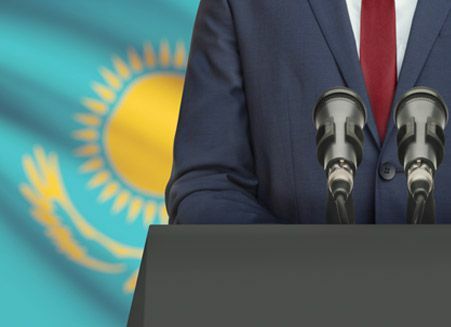 Kazakhstan creates all conditions for the development of businesses and there is a policy for the reduction of regulatory approval system currently in place. On 29th March 2016 licensing for the activities connected to collection, storing, recycling and realisation of crow-bar and chromatic and ferrous metals was cancelled. Such activities would have a compulsory notification nature, which means that before starting this activity the interested party would need to send the notification about the start of activities to the governmental body governed by Permits and Notifications Act. When finishing the named activities the party would also need to notify the governmental body. In Kazakhstan pharmaceutical activity in the sphere of production of drugs is very active. There are more and more drug stores and private clinics opening. In order to work in this are entrepreneurs must get the license for the medical and pharmaceutical activities. Public places, shops and stores, that work with retail sale of alcohol must get the license for the storage and retail sale of alcohol production, and under the wholesale distribution fill in for the license for the storage and wholesale distribution of alcohol production. There are also other areas that require licensing , such as production and manufacture of alcohol production, ethyl alcohol and tobacco. We have been helping to acquire licenses and approval documents “under lock” for more than 9 years. Contact us for your free consultation. Due to its geographical position and rich mineral reserves Kazakhstan is one of the most attractive countries for investments. Besides gifts of nature and the ancestral heritage the government of our country uses all opportunities for the creation of the most favourable climate for successful business management. With regards to the major work done Kazakhstan appeared in the rating “Doing Business 2017” of World Bank, where it took 35th position, upgrading by 16 points compared to “Doing Business 2016”, where our republic was placed on 51st position. Development continues, as World Bank marked top 10 countries with the high share of reforms in the area of improvement of business climate, where Kazakhstan took 2nd position in 7 categories. Additionally, Kazakhstan was awarded as a best reformer for the fourth time in the last 12 years. Improvements deal with all areas which the potential investor could face while conducting entrepreneurial activity in Kazakhstan. Therefore, there have been various unprecedented measures taken in order to improve the business environment and reduce administerial pressure on businesses through reforms of the current legislation, perfection of the regulatory approval system, simplification of business establishment procedures and optimisation of governmental control and supervision activities. There have been simplified procedures of business registration, cancelled fee payment for registration of small and medium-sized entities, reduced term of registration and minimised the list of the required documents, as a part of the framework of improvement of the investment climate. Duties of all supervisory bodies are clearly stated and reduced to the maximum in relation to subjects of entrepreneurship, fully excluding unlawful checks and intrusion in the internal activities of entities. Businesses will also benefit from the simplified procedure to acquire licenses (permits) and many more other positive developments. Nevermind that only in 2016 the volume of gross inflow of straight foreign investments in Kazakhstan amounted to 20,6 billion US dollars, our country has a lot of less competitive market spheres, which require new participants. 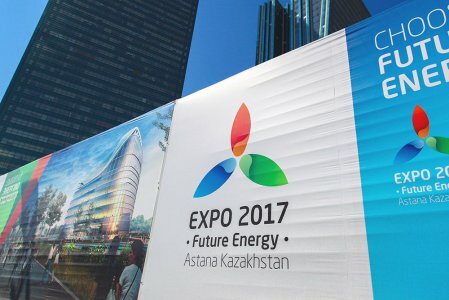 Consequently, as for the current stage of the development of economy and the country as a whole every company has an opportunity to take over its niche in the market of Kazakhstan and central-Asian region. We have already helped more than 50 non-resident companies to enter the market of Kazakstan. Contact us for you free consultation.